In the past, integrating faxes with enterprise resource planning (ERP) applications forced you to choose between efficiency, cost and functionality. Between the manual processes of printing, managing paper, maintaining equipment and more, and fronting a major investment in software, hardware, fax boards and lines, the process and prices became cumbersome. 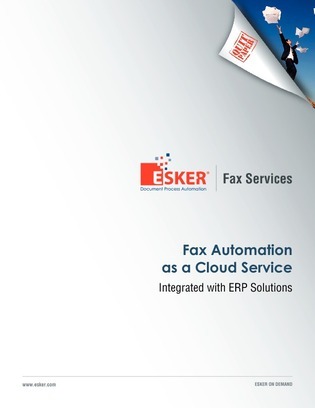 This paper outlines a specific solution that delivers faxing as a fully integrated, on-demand service within your ERP environment. Read this insightful resource now and learn exactly how cloud faxing operates, where it presents value and how it has benefited one multi-billion dollar global manufacturer.